The Glamper RV's motorhome with every luxury you could need on the road. From £945 per week. GlamperRV know how to add style to a motorhome. 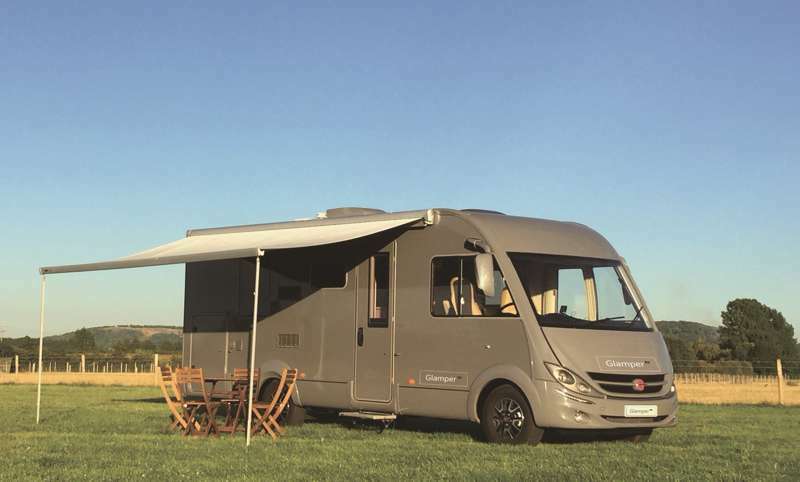 With two pick-up locations (one near Wantage, Oxfordshire and the other on the Buckinghamshire fringes of the Chiltern Hills AONB), if you like the idea of camping but can't bare leaving the luxuries behind, GlamperRV is the ideal option. 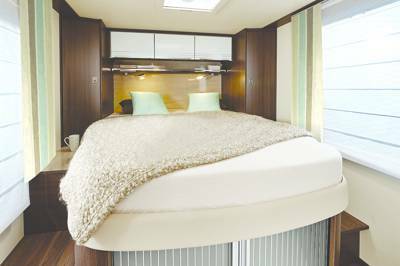 Akin to a hotel on wheels, this is the upmarket end of the motorhome hire world. When it comes to the interior think luxury yacht – leather seats, central heating, air conditioning, a bathroom complete with shower and a kitchen with fridge freezer, oven and hobs. They've even put in a Nespresso machine so you can enjoy the very best morning cuppa! Though shorter term hire is available, there's enough going on in this campervan that you'll want to take it out for weeks. GlamperRV is a 'luxury hotel on wheels' packed with all the comforts you cannot live without. When it comes to the interior think luxury yacht – leather seats, quality mattresses, integrated fridge freezer, separate bathroom - we've even installed a Nespresso machine and hairdryer that work anytime, anywhere - there is no need to have an electrical ‘hook-up’.GlamperRV also benefits from a huge garage so you can load up your bikes and at the end of the day dry out all your kit in a warm, dry space! There is a fully stocked kitchen with oven and grill, three gas hob, sink, fridge & freezer; a bathroom with a separate shower, toilet and wash basin; a rear bedroom with a double bed and a pull down double bed at the front in addition to the comfortable living area which seats up to 6 around a table. The garage will come with our wooden outdoor table and four chairs, for dining al fresco! For those slightly chillier English evenings there is gas and electric heating, and for those warmer days air conditioning. 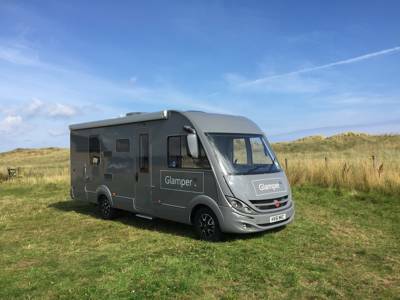 GlamperRV is geared for unplugged stay with permanent mains to fitted espresso machine, hairdryer and sockets. There is also a DVD/CD player, GPS, reversing camera and automatic gearbox. 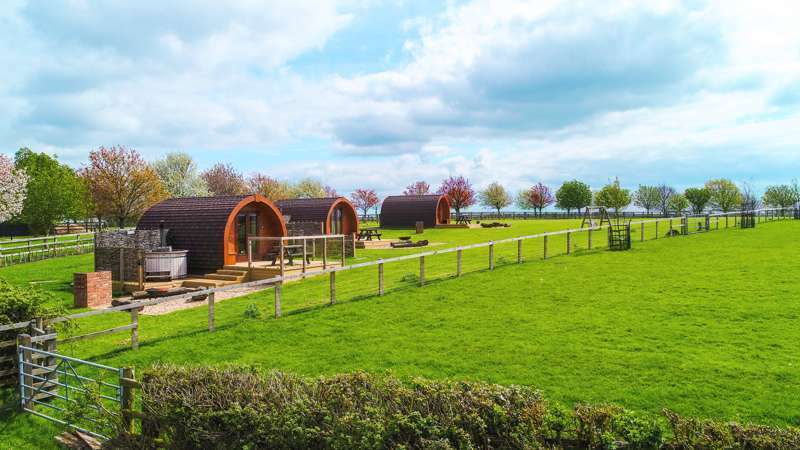 As a nice extra you will also have membership to BritStops, giving privileged access to more than 1,000 pubs car parks, vineyards & fields across the UK for overnight stays. Simply the best experience ever! A great experience, don't hesitate to try it! As seasoned campers, (of the tent variety), we were very excited to set off on our first motor homing adventure in the GlamperRV during August. Our family of four, children 15 &amp;amp; 12, set off to Europe with a rough plan in our minds but determined to enjoy the freedom of the Glamper and make the route up as we went along. We ended up travelling to no less than 5 countries though we only stopped in 4! France, Belgium, Germany and Switzerland. And for us this was the real beauty of the Glamper, it is so easy to pitch and go that you can make the most of holiday time doing the fun things. There was plenty of space for the 4 of us and our stuff which included 4 road bikes and associated paraphernalia in the very large boot. We also had hiking boots, running stuff and swim gear etc in fact I don't think I've taken so many different shoes on holiday before! The Glamper's spec level is superb and we made use of all the mod cons, oven, fridge, freezer, the shower (powerful enough to deal with 3 x long haired people), the air-con and yes, the heating too when it was a bit chilly in Belgium! The water and toilet systems are super easy to manage too. It was really very easy to drive whether we were on cross country lanes or autoroutes, the automatic engine was very capable. Finally I can't complete my review without mentioning the absolute 5 star service from Lucy. Right from the start Lucy was willing to spend time answering my many questions, giving us suggestions on where to stop or places to go. Even during our holiday when we had a few WiFi issues, Lucy was super quick on the email to resolve the problem. Overall I can't recommend Glamper RV enough and I know we will be back for more! Two pick-up locations – one in Princes Risborough, Buckinghamshre and a second near Wantage, Oxfordshire. They can also deliver to specified addresses or pick up from London and Birmingham airports. Prices from £945 per week. Based on a 3 night rate: from £549–£999. All additional nights are priced at £99.